This book is the culmination of a 3-year intensive set of social, cultural and environmental studies that began in 2015 to assess river health in the Lancang River Basin with regard to the impacts of hydropower projects. It studies key components of the transboundary effects of Chinese dams on the Lancang River including its hydrology, sediment transport, water temperature, and fish community. It also investigates the specific impacts of hydropower on women’s lives and livelihoods, and factors that influence women’s participation in river health management. 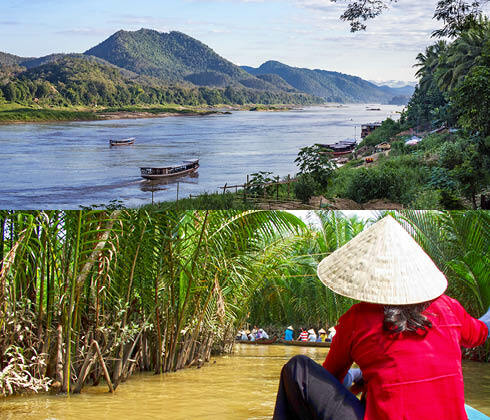 The lessons learned with regard to environmental protection and hydropower development in the Lancang River Basin have been shared with hydropower developers and regulators in Laos and pave the way for a more holistic management approach moving forward. Congratulations once again to Dr. Yu and colleagues Daming He and Phouvin Phousavanh on this accomplishment! Ecofish Places Second in the ‘Consultants’ Category at the Environmental Flow Needs Conference! Ecofish is committed to providing better solutions for your project and the environment. © 2019 Ecofish Research. All rights reserved.